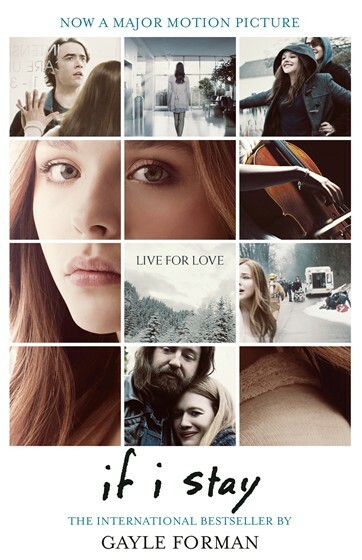 Gayle Forman’s best-selling novel If I Stay is now a major film starring Chloë Grace Moretz as Mia Hall, a talented cellist whose life hangs in the balance after what should have been a carefree family drive. We present an eerie extract from the opening chapter that sets the scene. I have had nightmares before – falling nightmares, playing-a-cello-recital-without-knowing-the-music nightmares, break-up-with-Adam nightmares – but I have always been able to command myself to open my eyes, to lift my head from the pillow, to halt the horror movie playing behind my closed lids. I try again. Wake up! I scream. Wake up! Wakeupwakeupwakeup! But I can’t. I don’t. Gayle Forman is an award-winning author and journalist whose articles have appeared in numerous publications, including Seventeen, Cosmopolitan and Elle. She lives in Brooklyn with her family. If I Stay is published by Definitions, an imprint of Random House Children’s Publishers, in a new tie-in edition featuring interviews with Chloë Grace Moretz and Jamie Blackley. Read more. The film is released in the UK on Friday 29 August by Warner Bros.